Denzel Washington is regarded as one of the greatest actors of all time. In his long and illustrious career, he has taken home many awards including 2 Academy Awards and 3 Golden Globes. What a lot of people also forget that he is also an accomplished stage actor and a very competent director through his work on Antwone Fisher, The Great Debaters and the film that is up for review. 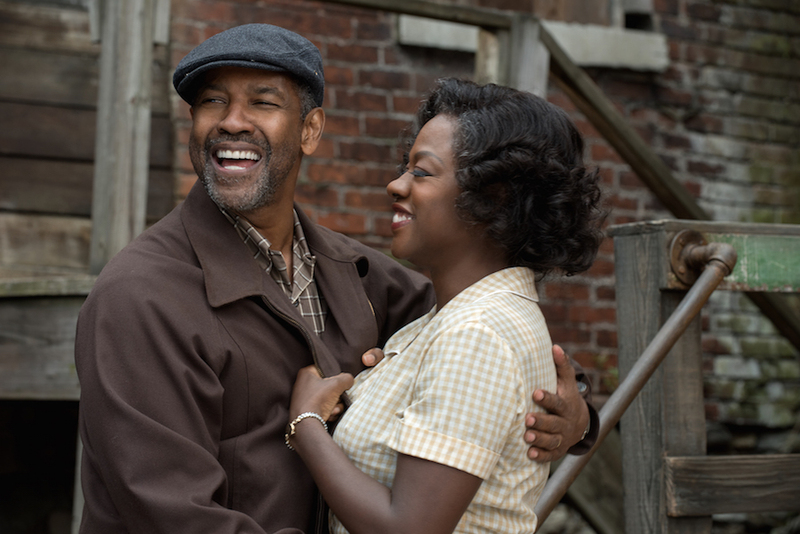 Washington once again takes the helm as a director and actor for the screen adaptation of Fences, a Pulitzer Prize winning play written by the late and great August Wilson who also completed the screenplay before his death in 2005. Washington had the honour of playing the main role in the play’s 2010 revival with his co-star Viola Davis which both earned them a Best Actor and Best Actress award for the prestigious Tony Awards. Both actors reprise their award-winning roles and get the massive opportunity to translate them to the silver screen. Fences revolve around Troy Maxson (Denzel Washington), a 53-year man who makes an honest living as a garbage collector with his best friend Jim Bono (Stephen McKinley Henderson) in a 1950s Pittsburgh. He lives with his lovely wife Rose (viola Davis) and his son Cory (Jovan Adepo). He is well-mannered man who does the best he can to provide for his family. Apart from his wife and son who lives at his home he also aids his now –adult son from a previous relationship Lyson (Russell Hornsby) and keeps an eye on his brother Gabriel (Mykelti Williamson) who was left mentally impaired by a head injury when he fought for America in WWII. As we all know, no one is perfect. As the story slowly unfolds we begin to learn that he often lives in the past and he is still bitter from the effects of living in a world that tried to bring him down and shattered his hopes and dreams of becoming a pro baseball player due to his advancing in age by time the pro league was racially integrated. The weight of his responsibilities added with his emotional trauma begins to have an adverse effect on his relationship with his wife Rose who he has shared 18 happy years of marriage with and his son Cory, who is on the verge of being recruited for college football. This poses the audience with the question of whether Troy is acting in his family’s best interest or whether they have become a target of his transferred aggression? 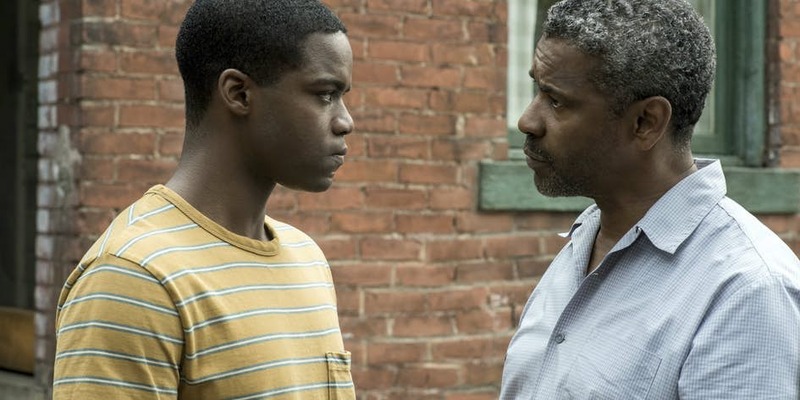 With a sizeable chunk of the cast reprising their role from the award winning 2010 revival and the direction of Denzel Washington who has not received a strike for his directorial efforts can actors and actresses of the production successfully transfer their critically acclaimed performances to the silver screen and will it leave an impact? Troy and Rose have been together for 18 years. The themes of the film are one that will definitely leave you opening up discussions about. The film mostly touches on the themes of family, race, mortality, dreams, hopes, plans, duty, legacy and dissatisfaction. The way the story blends these themes through its setting, characters and their actions are very beautiful and it certainly left me thinking about a lot things after I watched the movie. Denzel gives off one his best performances as he portrays Troy extremely well. He shows of his character as an extremely likeable and relatable every-day man, which makes it believable that Viola Davis’s character would fall for his charms. The best characters in any form of media are the ones with depth and this case is no different with Troy as he has a dark side. Despite his hard-working and jovial attitude that people see on the surface he hides an ugly side through his need to tell compelling and exaggerated stories that often twist the truth. 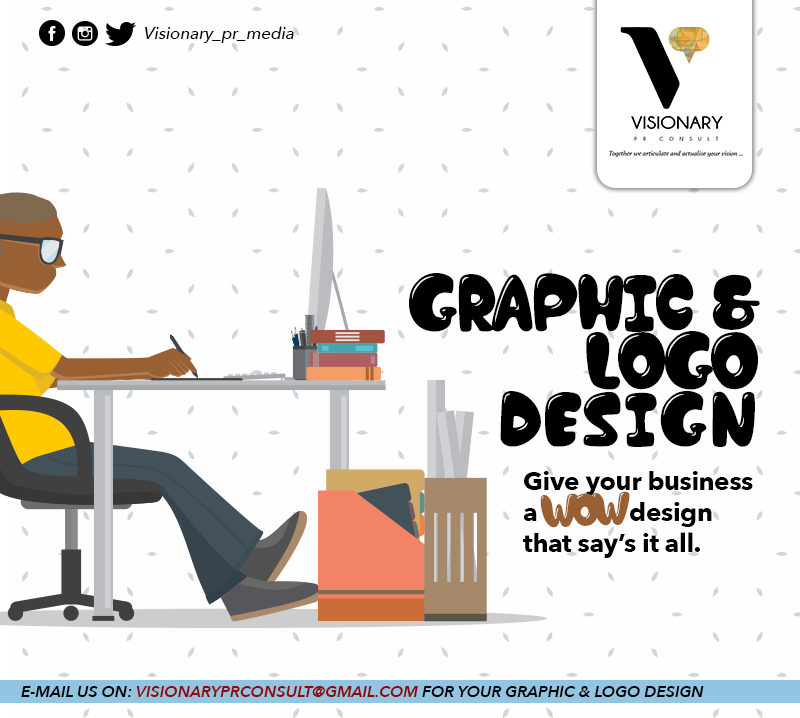 His pride on his role as the breadwinner and his frustrations of his slow progress through life often conflict and damages his relationships as a result. Denzel switches between this Jekyll and Hide persona with ease making his performance an enjoyable and hard one to watch. 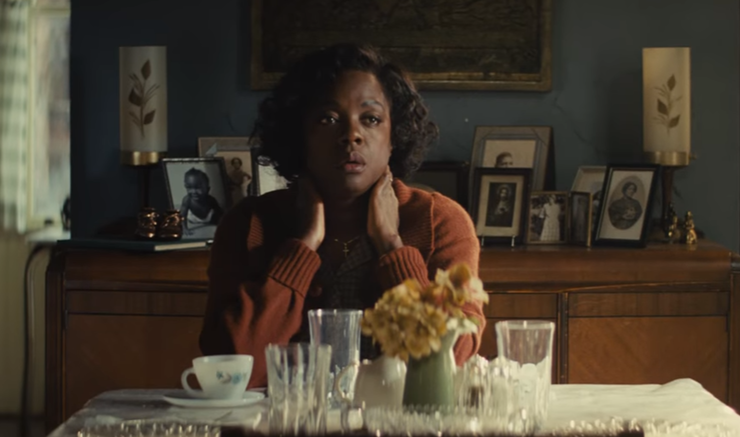 Viola Davis’s performance as Rose definitely deserves all the nominations and awards she has received so far. She expertly portrays her character as a strong woman who is a great foil to Denzel’s Troy as she shows off her character as one who is grounded in reality and one who doesn’t look back on the days-of-old with grandeur. She often puts up with Troy’s shenanigans by softening his rough edges even when she points out his errors, but once she reaches her breaking point she stands up and challenges his nonsense. Unlike her husband she deeply cares for her family and understands their wants and needs and is very compassionate which is exemplified through her actions in a key scene in the third act. The supporting cast members also turn in memorable performances that is achieved through great acting and well written characters. Stephen McKinley Henderson who reprises his role as Troy’s best friend Jim Bono, who was a witness to Troy’s glory days and enjoys sharing a beer his with his pal and telling those stories as well. The character works because of his great chemistry with Washington, which makes their friendship plausible. Jovan Adepo delivers an admirable performance as Cory, Troy and rose’s teenage son who is ambitious and has dreams that are reminiscent of his father who failed to get his own. These similarities eventually become a source of conflict between father and son and raise the stakes for movie. Russell Hornsby’s turn as Lyons, Troy’s older son is also worthwhile as he holds his own against Washington as he presents his character as one who is filled with determination to make it as a musician despite his father’s disapproval. The way the movie is edited makes it feel that you are watching a stage play because of its basic camera work, scene transitions and minimal use of music. As the movie goes on it slowly evolves into a film as inventive camera angles are utilized in the film’s key scenes. Some may see this as a shortcoming and while it is to certain extent it is also the film’s greatest strength in my opinion because it allows the movie to become a showcase for the actors talents, as the picture isn’t driven by fancy cinematography, but great execution of dialogue and actions. The character of Gabriel, Troy’s brother who is portrayed by Mykelti Williamson does a decent job of playing the character but I feel that his transition to the big screen wasn’t as seamless as the other characters. From my understanding of the source material, the character is supposed to be a sort-of narrator who moves in and out of the scenes to make commentary on what is happening. The movie has a hard time converting this aspect of the character to the big screen and which makes it harder for him to leave a lasting impact. Other than that I feel that the movie has some issues making seamless transitions between the main acts, as the film has to add some extra scenes to fill in the gaps. Viola Davis gives the audience an incredible performance. 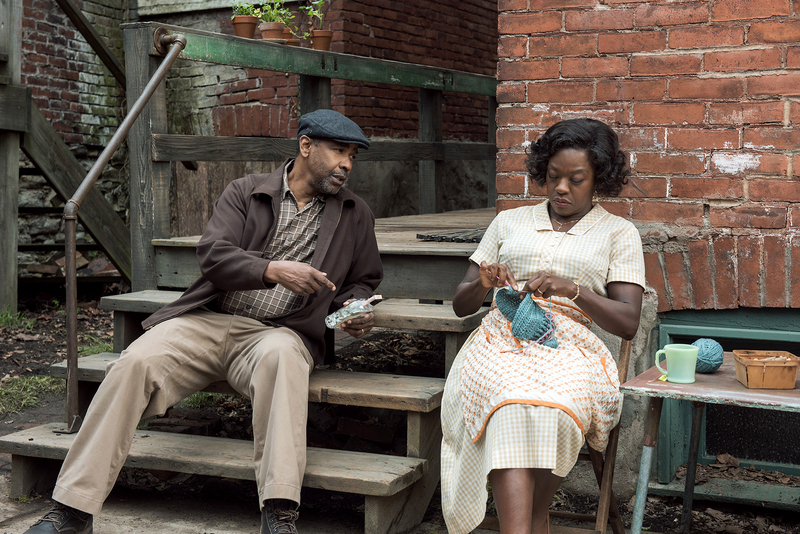 Fences is an excellent drama with deep themes that will give you a moment to reflect and is packed with powerful performances from an extremely talented cast that will surely move you.